My reasoning at the time: I can have a complete set of upper cabinets for about $1100 and they'll be solid wood. (I developed this response when my husband said, "Why didn't you buy the Lidingo white cabinets? They look just like the Liljestad but they're already white!" But I would reassert, "The Lidingo cabinets are fiberboard and feel like Ikea cabinets." This past summer I went to the local kitchen place and got a quote for solid wood white base cabinets - they had a match for the Ikea Liljestad raised panel style. However, the quote was $14,000 and that didn't include any cabinet fittings. So, I decided to stick w/Ikea. For about $2300 I was able to order all the base cabinets along with a complete set of interior dividers. Just before Thanksgiving (yes, lousy timing) the Ikea base cabinets arrived. This was the beginning of the bad, bad things. After all of this I decided I LIKE the dark wood and don't want to paint the lower cabinets. 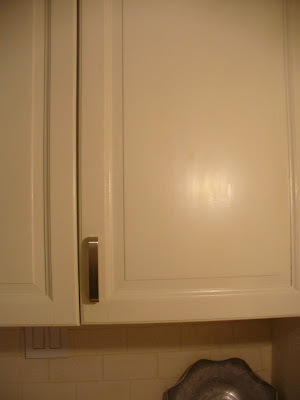 So, I am going to have a two - toned kitchen - white uppers and dark oak lower cabinets. Yes, I know that trend is from the 90's and is so over but I have to say in my small, L-shaped kitchen I think dark upper cabinets would be just too overwhelming. NOW - WHAT TO DO ABOUT THE FLOOR! The floor is not only in need of repair but now the honey,yellow floors look even more ghastly. The floors in the connecting rooms are a light, medium brown and wouldn't do well in the kitchen either. 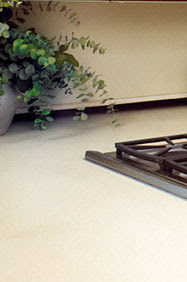 So, after reading Joni's post on her kitchen I am very interested in painting my kitchen floors. Here are some inspirational pics for the painted floor. Eventually I will replace the counter tops - here are some options from Caesarstone. I haven't seen these in person though. Would love to hear your advice!! I hope Joni comes over here...she has an amazing eye. I know how hard it is to put a picture of one's own house on the blog, so I applaud you for that! But, other than that, I am hopeless at kitchen recommendations. I have painted floors, and I did not even realize it until I had the hallway carpet upstairs replaced with hardwoods. I wanted them to match the light tones of the downstairs floors in order to avoid a need to sand and restain every floor in my house - it was easier to match than to use a new color. When they were doing the upstairs floors I was shocked to see that they mixed white paint into the stain mixture to get the light bleached oak look from the downstairs! I absolutely adore my light floors, as they do not show scratches and surprisingly do not show dirt either. My housekeeper was away for 6 weeks, and I did not mop the wood floors when she was gone, and when she returned and mopped the floors I was shocked at how dirty the mop water was - the floors truly did not show it. We also have a golden retriever, and his massive shedding doesn't show much on the floor either. I commented to my husband how convenient it is to have a dog who matches the decor! I loved reading your conversation with your husband. Exactly what I do to my husband. I also run out and do something without explaining it fully to him. Then I get home and tell him to just do it. Thinking he can make anything work. It drives him a bit batty. I love painted wood floors! I actually sent my husband a text about two weeks ago asking if I could paint the kitchen floor. I got a big fat no, but I'm still working on him. 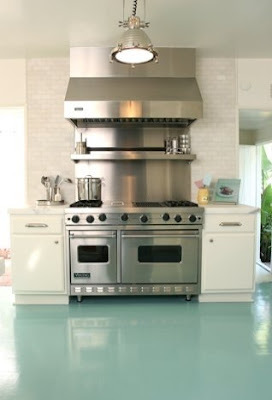 What if you did a color like the Windsor Smith kitchen floor that's been floating around blogs. It was that wonderful shade of blue/green. I think it would look amazing. Can't wait to see what you decide. I agree that the floors REQUIRE painting. I love the skimming stone color, but I worry that the contrast with the dark lower cabinets will be too great -making the cabinets the focus of attention. What about one shade darker for the floors -do you like the Pavilion Gray? I think it's a good medium tone. I think the contrast (light/dark) won't be as great as with the skimming stone. That may be the classical architect in me (dark floors, white ceiling). I think you're going in a great direction and can't wait to see how it turns out! We painted 2 bedrooms and a hall with BM white floor paint. We did the hall last to tie 2 rooms and 2 bathroom together, made all the difference. I resisted but would do it again in second. We did a pattern on a patio. I'd enjoy doing that inside but it would be a challenge getting the squares perfect. I had to use the Pythagorean theorem to make the pattern work. Fun project. I think that the inspiration shot of SR with the stripes is my favorite. I had a similar issue in my kitchen and I painted the hardwood white with deck paint. Now I want to do something fun on the floors like Miles Reid did with a black trim and a star (David Adler) in the middle! Be brave and put a colour on the floor - that way it will sit well with the floors next door. 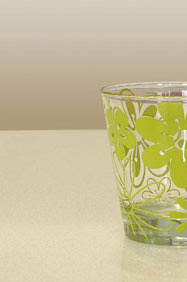 I like the idea of the blue/green too - which will work with both the dark and the light of your cupboards. If it is not too dark a shade it should not show the mess. 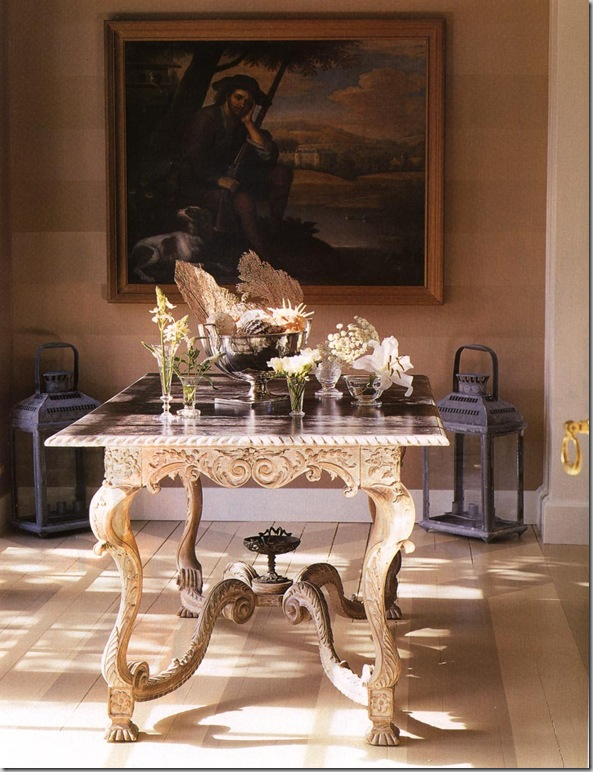 You could always stencil/paint a border in a darker shade to incorporate the dark cabinetry. I totally agree with you on the skimming stone. It's what I would do. Then you have many options for the wall colour. The colour above the stone is way too goldy beige and the ones underneath are too purply pink. You are on the right track. Your kitchen looks great, I look forward to seeing the final result. You are a do it yourself girl! Painting the wood floor is a GOOD idea... two-tone cabinets are not over... many people STILL request them. You can pull it all together... you are a design lover... you pick beautiful photos to display on your blog all the time... now just put the idea in your home! thanks everyone for all the encouragement and the ideas! I'm off to the paint store this weekend to get samples. I'm planning to paint large pieces of paper to get a feel for the different colors. Hi!!! 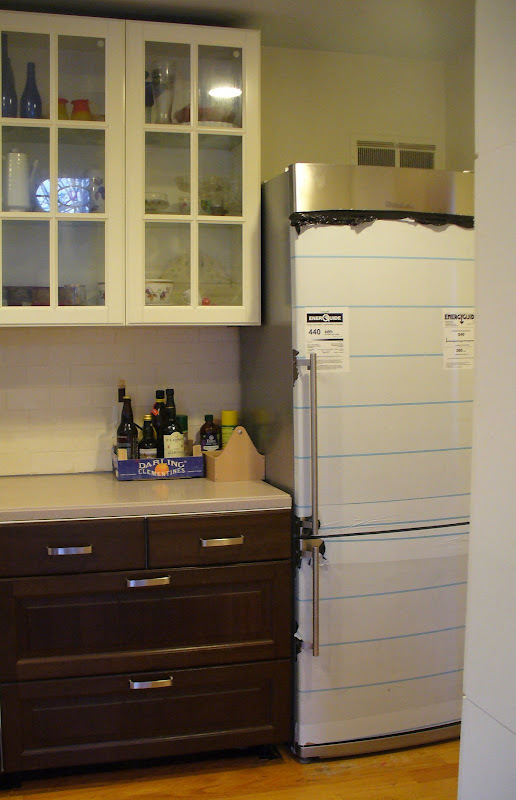 ok, first off, I was really expecting something awful, and instead, you have these gorgeous cabinets! They are so beautiful! I love the dark and the light together. The corian has to be replaced now, I agree but otherwise, you're done! Just paint the floor. I would listen to Maria. If she says that is the right color, I would trust her. I don't think I would do the blue floor like Windsor - that is in a beach house and I think it is very beachy looking. Plus, I like the light floor as opposed to gray. One thing - I talked to the B.Moore people about their floor paint and all you need to do is lightly sand by hand or machine if it has polyurethene on it, then paint it two or three times and that's it. No sealer. Just check that FB floor paint is as easy as BM. Also if not - you could show the BM the FB color and they will match it exactly for you. You are on the right tract, almost finished, go for it! I can't wait to see how it comes out. I am sooo chicken myself because it has to be my whole entire house painted floors. oy. What a dilemma. It is always so hard to do a room piecemeal. This is how my whole house is decorated and it's exhasuting constantly trying to work in old furniture and cabinets and whatnot. But it is REAL decorating and definitely the most challenging. I think painted floors will be amazing but you should paint some big sample sheets of bristol board and put them down. I think Skimming Stone is an exquisite colour (I have 2 big carboard sheets painted with it that I keep carrying from room to room!). 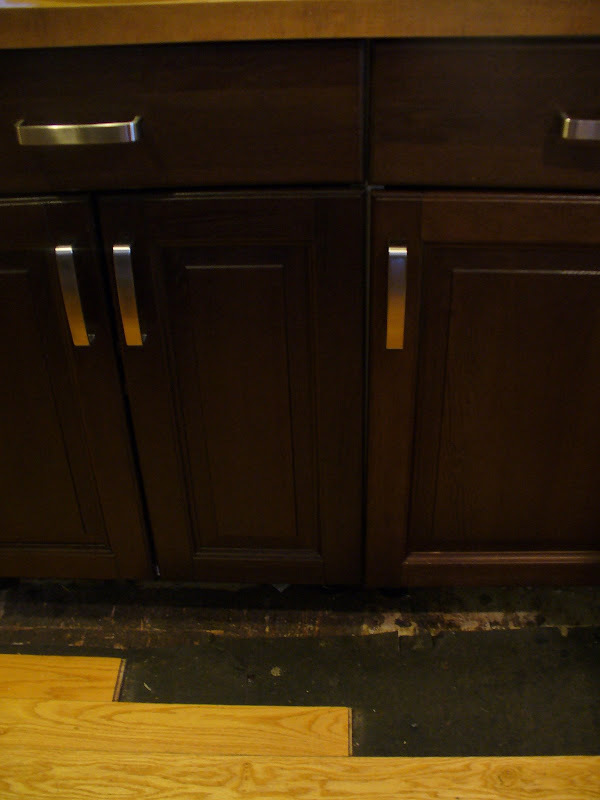 But, I kind of think I would go darker on the floor so that the brown base cabinets don't stick out. Do you like colours like F&B Blue Gray or French Gray? What about Hardwick White or Charleston Gray? I have a friend who owns a shop with a floor painted Pigeon and it is stunning (and surprisingly not as dark as it seems because the colour is so beautiful and rich). 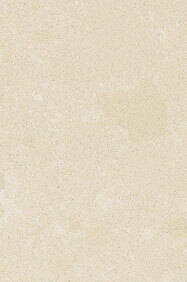 But I guess if your heart is set on light floors, I would chose a middle colour like Skimming Stone - it is very light. I would almost chose a milky brown with the same brown as your cabinets but very very milky, like coffee with a lot of cream in it. Keep us posted. You must follow your heart and instincts. They are usually right! I think your kitchen is great! Love the small size of the fridge...and the contrast of the dark and light! Too bad you couldn't of pulled your corian forward and done some sort of molding or quarter round on the back. But...I like the ceaserstone color better. I like the skimming stone color...take pics of your sample papers and show us! 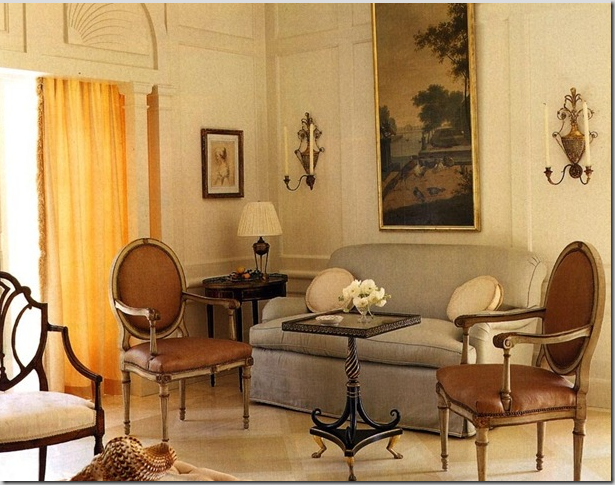 I love the idea of painted floors. Buy a few small cans of the colors you like best and see how they look. It's always the details in baths and kitchens that can drive you crazy. Your kitchen looks great! There is always the option of taping and using stain(s)instead of paint. Light counters. I like buttermilk. I LOVE the ideas you've got going... One thought on the floors and the two colors... maybe go tone on tone instead of two closer colors (remember my son's nursery stripes?) so go with a flat or eggshell and a high-gloss & then coat over the whole thng with polyurethene. this way it's not as dramatic but you'll still notice it. can't wait to see pics!! I love your kitchen. we just remodeled our kitchen last September and it can be so exhausting. The use of light and dark cabinets and blending different colors is all the rage in Scandinavia at this moment. You have done such a wonderful job already. If you would like, I can send you magazines for inspiration, although they will be in Finnish or Swedish but the pictures is all it's about. I won't bore you with more. Hope it helps. (Talk about late to the party...) What AMAZING advice people have offered - go team! I think you have several great options here. I'm a little nervous about doing the floor in a single light neutral like Skimming Stone, though - beautiful color though it is. There would be nothing to tie all of the elements together: you'd have a block of taupe (floor), a block of brown (cabs), a block of cream (backsplash) - see where I'm going? I'm worried that your kitchen might end up just looking like a collection of blocky neutrals, with neither cohesion nor zing. What about going back to your very light wide stripe idea, but with one of the colors a cream that ties in the limestone backsplash, and the other an extremely light version of the robin's-egg blue? You'd get a very subtle pattern, a light floor, the gentle addition of color...it just feels a little safer, believe it or not, than the blue alone. Bold variation: instead of stripes, large (12 x 18-ish) bricks/rectangles in a running-bond pattern, like your backsplash. Not as dizzying as a checkerboard, and a little more interesting than a stripe. With the color values so close, the effect will be subtle. I agree that painting your floor - however you decide - is going to have a tranformative effect on your kitchen. Tragically, though, I don't think you're going to be truly happy until that counter is gone. Is there any way to push up that timeline? Could you alert friends and family that as a combined Mother's Day-birthday-May Day-Easter present, a single large gift in the form of a hunk of Caesarstone would be ideal? Good luck, Michele, and you WILL keep us posted, right? I have total confidence in you!